Google is set to give us some hefty upgrades on its second generation Pixel smartphone, but it looks as if we’ll also be treated to a more affordable Google Pixel 2. According to a source speaking to 9to5Google, Google is planning a budget Pixel phone as well as an improved Pixel 2 handset that will see upgrades in its chipset and camera. The premium Google Pixel 2 will apparently sport an even higher price tag though, which would be a surprising move from the search giant as the pricing of its current Pixel duo has been partly blamed for some lackluster sales figures. News of a cheaper Pixel has piqued our interest though, as Google has a history of more affordable devices from its now-defunct Nexus range. The source claims that a lower-powered Pixel with lesser specs and a small price tag is currently being tested, so fingers crossed it’ll arrive later this year. 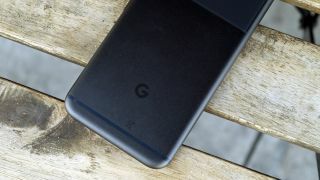 This is the same source which claimed that the second generation Pixels will sport waterproof bodies – rather than the splashproof protection on the current handsets – and thus should be taken with a pinch of salt. They have provided correct Google information in the past though.